Extensive professional copywriting services are available through web site design and development company Dynamic Digital Advertising’s in-house writing department. From website search engine optimization copy and technical writing to traditional print advertising, DDA’s degreed writers have the experience necessary to generate the savvy marketing content that will sell your products and services. DDA copywriters generate custom website content that helps websites rank high on major search engines such as Google, Yahoo, and MSN and that persuades website visitors to buy your products or services. Natural search engine optimization content is developed with highly-searched keywords to attract both search engines and searchers. Searchers who enter your website find all the information they need on the products they want and take your desired call to action. DDA copywriters work closely with a team of designers and search engine technicians to ensure that your website’s marketing and advertising copywriting is highly optimized. Engage potential customers by providing brochures with headlines that seize attention and compel readers to open the front cover for more extensive information. DDA brochure copywriting services provide the headlines that attract the eyes and interests of an audience by collaborating with degreed graphic designers. Inside the brochure, we showcase your products and services in their most attractive light with easy-to-understand text. After a potential customer reads through the information generated by a DDA copywriter, they are more likely to take your desired call-to-action. Dynamic Digital Advertising also offers in-house digital photography and graphic design with its copywriting services to be your one-stop agency for brochure copywriting and design. Whether you need catalog’s with highly-specific text or brief segments of product or service information, DDA provides the writing you need. Dynamic Digital Advertising’s copywriters are experienced in a variety of writing disciplines, including technical, medical, scientific, sales, creative, and more. Catalog copywriting requires the right kind of text to sell to a customer. Some catalogs, such as fashion catalogs, will rely on digital photography to attract the eye. Other catalogs, such as machinery catalogs, will rely on the product’s specifications. We also offer digital catalog services for CD-ROM as well as digital product photography. 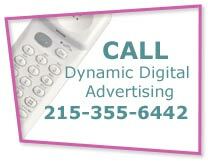 Call today to find out how DDA can provide the advertising services that help increase sales. At DDA, copywriters craft dynamic, concise content that captures and holds attention while maximizing the retention of your target audience. Video scripts for training, corporate messages, sales, and more have the power to inform and influence an audience. However, the spoken word may not remain in a person’s memory for more than five seconds. And trade or training videos that run too long, use flat speech, or long sentences will quickly lose their audience. Dynamic Digital Advertising also creates Flash animation videos that require script work be done in cooperation with a design team and videography team. 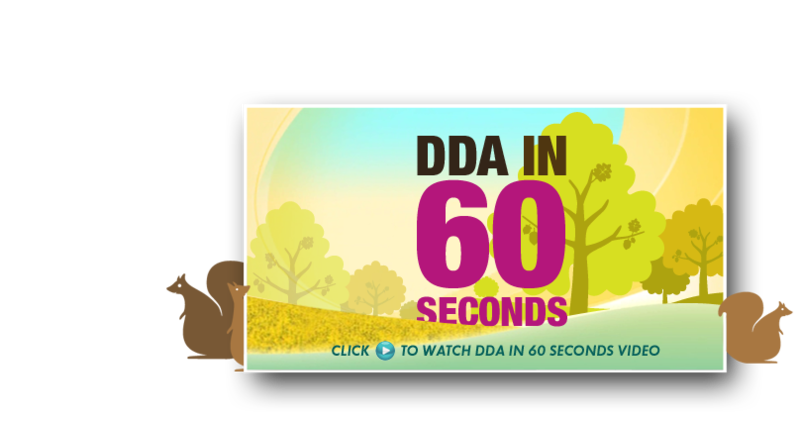 The DDA process is streamlined and efficient because all production is done in-house, ensuring you get better videos sooner. Increase the power of your direct mail pieces by relying on DDA copywriters. Experienced in generating informative, attention-seizing text in the limited space postcards provide, our copywriters craft polished, succinct sales text which compels potential customers to take a desire call to action immediately. Dynamic Digital Advertising’s professional copywriting services are closely intermingled with our graphic design services. This ensures that the graphics and words always match. Detailed product information on a specific product, special deal, or new service within a sell sheet increases customer response. Potential customers see a single sheet of paper and read the effectively written and designed copy. From technical writing to creative copywriting, DDA writers attract customers attention to the headline of the sell sheet and motivate them to continue reading any additional text or product specs. Clients who rely on DDA copywriters for sell sheet content are more likely to find customers who take the desired call-to-action. Since 1994, Dynamic Digital Advertising has pioneered the fields of digital marketing and promotion and custom website design and development. The in-house writing department is one of the ways DDA stays ahead the technology revolution. We combine the time-tested advertising tactics of print media and integrate it with our digital advertising capabilities to provide our clients with the latest and most effective marketing media. Based outside of Philadelphia is Bucks County, Pennsylvania, DDA serves a regional client base in Pennsylvania, New Jersey, Maryland, Delaware, Washington D.C., and New York that extends across the United States. Custom website design must be fused with ethical search engine optimization to make a prosperous online business. Dynamic Digital Advertising has forged a strengthened fourteen-step program that constructs an improved website. High-end search engine optimization methodology is integrated into every step as research is executed, design is outfitted, and content is written. The end product is a professional website design that earns the highest possible rankings from leading search engines like Google, Yahoo, and MSN and that is trafficked by high volumes of targeted visitors. DDA website design functions to engage every website visitor and then turn them into customers. As a custom website design company, Dynamic Digital Advertising's websites help you survive and thrive in today's online marketplace. In addition to being a leading custom website design company, Dynamical Digital Advertising is also one of the nation's leading graphic design firms. DDA's graphic design capabilities include trade show graphic design, digital illustration, virtual reality, print graphic design, large format graphic design, and much more. This expansive offereings of digital promotional services is one of the largest in the country. No matter where in the United States your company is based and not metter what industry you operate in, Dynamic Digital Advertising is fully prepared with the graphic design services you need to market and promote your products or services.